This little guy is about thirty centimetres tall. 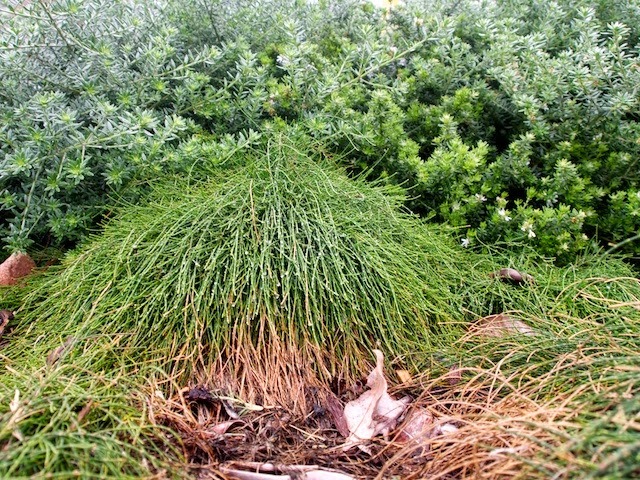 He's a casuarina of course, a small version of the she-oak, whose common name is "Cousin Itt", named after the character of similar appearance in the almost ancient television series "The Addams Family." If you don't believe me, you can look it up! LOL! So funny how something like the Addams Family becomes part of the culture.